Suitable For Most W203 C-Class Models. 1x Interior Door Pull Handle(Left Right). -Type:Interior Door Pull Handle. We will try our best to reduce the risk of the custom duties. -Manufacturer Part Number:20381015517241,20381016519116. - Due to the different display and different light, the picture may not reflect the actual color of the item. Used but good condition. Suitable for cars with the light grey interior. IN 3RD PICTURE PART IS MARKED AS No. 130. 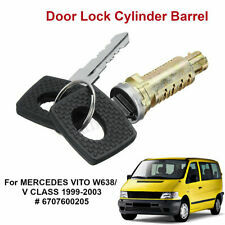 2 DOOR LOCK CYLINDERS with 2 KEYS FRONT or REAR any door. 2 Keys and 2 Lock Cylinders. Fitting Position : Any Door. Product Code. Oem Number. Type: Interior Door Pull Handle. 1 Interior Door Pull Handle (Right Side). Interchange Part Number: 20381016519116. We will reply you ASAP. Manufacturer Part Number: 203 810 16 51 9116. Color: Black. IN THE LAST PICTURE PART IS MARKED AS No. 60. PART NUMBER. Item is BLACK. Anthracite cloth interior trim. Parts bought and sold. Used car spares. 1 Interior Door Pull Handle (Left Side). 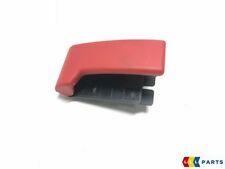 Type: Interior Door Pull Handle. Color: Black. We will reply you ASAP. Type: Interior Door Pull Handle. 1 Interior Door Pull Handle (Right Side). Interchange Part Number: 20381016519116. For VW Transporter T5 2003-2010 Wing Door Mirror Glass Heated Left 7E1 857 521 A. We will reply you ASAP. We have recently sent a clutch plate to Vietnam and an engine to Sweden so it can be done. We are more than happy to help you identify the part that you need! Unless stated all our parts are NEW, in FULLY WORKING CONDITION. WE WOULD LIKE TO SORT OUT ANY PROBLEMS QUICKLY. IF THERE ARE PART NUMBERS IN THE ADVERT, THEY'RE THERE FOR A REASON. THIS MUST BE CHECKED PHYSICALLY AGAINST THE PART YOU ARE REPLACING. IF IT DOESN'T MATCH THEN IT IS MORE THAN LIKELY WILL NOT WORK ON YOUR CAR. To ensure this item is compatible with your vehicle. In Excellent used condition. 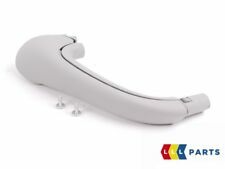 This product is a Front Right Inner Door Handle. 1 Front Right Inner Door Handle. Regardless of left-hand drive or right-hand drive. If you do not receive our reply within 48 hours, pls. If you are satisfied with our service, pls. Type: Interior Door Pull Handle. 1 Interior Door Pull Handle (Right Side). Interchange Part Number: 20381016519116. Color: Black. Correct Connector No cutting or splicing. We will reply you ASAP. (except Hong Kong, Taiwan, Macao, China, Guernsey, Luxembourg, etc.). Body Style: Saloon. In the event that a part is supplied and proven to be incorrect or faulty, Hills Motors must be notified within 48 hours. Vehicle Colour: Silver. Part Type: Door Panel. We are unable to cover any labour costs. Type: Interior Door Pull Handle. 1 Interior Door Pull Handle (Right Side). Interchange Part Number: 20381016511434. Color: Beige. Correct Connector No cutting or splicing. We will reply you ASAP. (except Hong Kong, Taiwan, Macao, China, Guernsey, Luxembourg, etc.). REMOVED FROM MERCEDES-BENZ C CLASS W203 COUPE YEAR 2002 NOT IN THE BEST CONDITION. PLEASE SEE THE PICTURES. 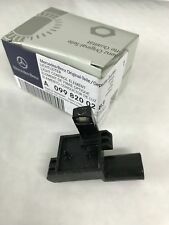 PART NUMBER : A2037601061 (PLEASE MAKE SURE THE PART NUMBER MATCHES THE ONE YOU NEED) MAKE : MERCEDES-BENZ DUE TO PREVIOUS USE THE ITEM MAY HAVE SOME MARKS, SCRATCHES, SIGNS OF OIL OR RUST. PLEASE SEE THE PICTURES. If you have any problems with our item please give us a chance to resolve it. Contact us first please. Thank you!. 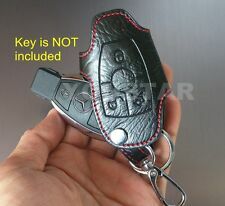 Trim code for car 218 - interior is Grey leather. Parts bought and sold. Used car spares. 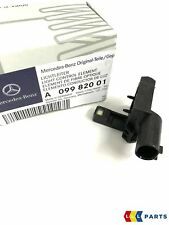 This Is Removed From 2002 CL203 MERCEDES BENZ C CLASS C220 CDI COUPE​ And will fit 2002-2004 CL203 MERCEDES BENZ C CLASS C220 CDI COUPE. But , I would ask that you double check your own Part Visually before buying/bidding.​ Please note that the above photo is an example Please expect general wear/tear otherwise in good condition Genuine & original Used PARTS, 30 days customer piece of mind. Help us keep your car going for longer! Provide phone number at checkout so courier can text you. Ref MA1049 MA1018 MA2075​ Any questions please ask, thanks for looking. 1 HANDLE GRIP. top quality fit and finish. Always carefully compare OE number and pictures with your old part. OPEL VAUXHAL INSIGN. NEW CLIO CAPTUR ESP. NEW YARIS 10- OUTER. FIAT DOBLO 09- DUCA. Is in its original condition - full inspection will be done. Tested and in working order. The Scottish Highland. Northern Island. Motox1911 LTD - Car Parts. Part number: A 211 766 01 24 7F24. CLS class C219. E-class W211 S211. Door handle inside front & rear links. SKU: 34717. C270, W203. Removed from the vehicle below but may fit other models/years. Wing Mirror Type. Screws, nuts and bolts are also classed as a free gift if included. Option can be added at checkout. All parts are used but fully tested and in full working order before removal. Body Style: Saloon. In the event that a part is supplied and proven to be incorrect or faulty, Hills Motors must be notified within 48 hours. Vehicle Colour: White. All parts are stamped & removal of the marks will invalidate your warranty. Body Style: Saloon. In the event that a part is supplied and proven to be incorrect or faulty, Hills Motors must be notified within 48 hours. Vehicle Colour: White. Part Type: Door Panel. We are unable to cover any labour costs. Genuine front right door pull handle. 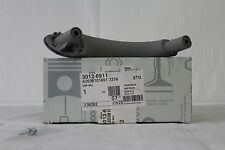 Part Number : A3172010001. FRONT LEFT INTERIOR DOOR HANDLE. PASSENGER SIDE NSF. Doors : 5 Door. Part is taken out from. unless clearly described as spares/repairs.